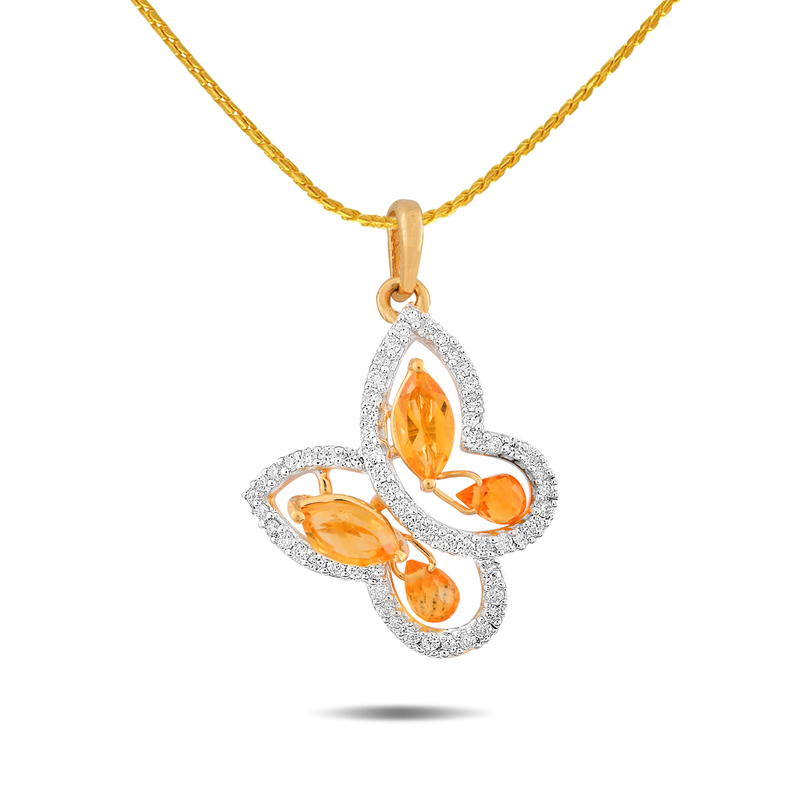 Add a little sunshine to your life with the gleaming color of yellow stone designed in the wings of this diamond pendant. The diamond pendant is made of 18 KT gold and 0.25 CT diamond. Feel free as a butterfly and spread your wings of warmth, radiance and beauty.